The Center for Ubiquitous Computing in collaboration with the Oulu bus company Oubus Oy and the Finnish Meteorological Institute have begun co-operation in Data to Intelligence project on the collection of environmental data. 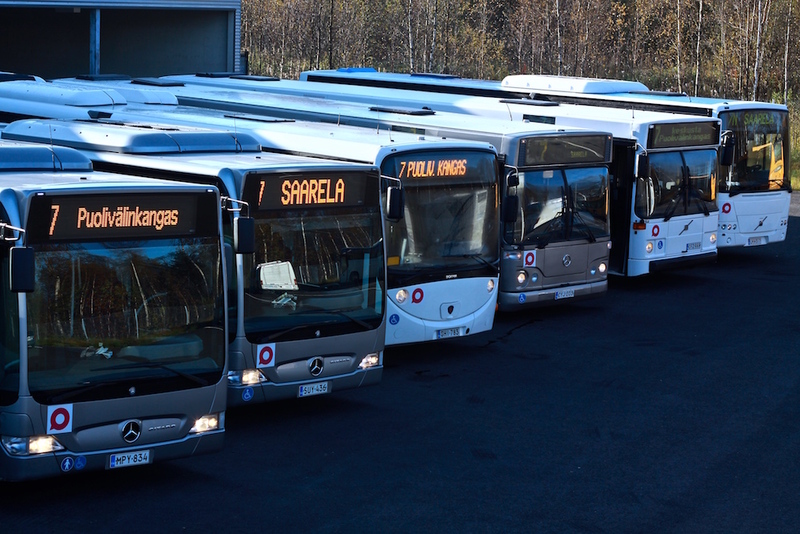 A road condition sensor has been retrofitted onto one of the buses operating between Puolivälinkangas and Saarela, and expected to collect data during December 2015. The optical sensor measures the spectrum of surface reflections and analyses the data to produce a road surface condition and friction report. Specifically, the sensor provides information on surface condition, coefficient of friction, water layer thickness, and air and surface temperature. The information will be used in developing a more accurate road friction prediction model, as shown in the map visualisation. This is the first time that public transport vehicles are used to monitor in real-time road surface conditions in Oulu. This type of monitoring will provide accurate and real-time data on the condition of roads, which can vary considerably during adverse weather phenomena such as rain or snow. We expect to develop new services that take advantage of this real-time information to provide safer driving conditions in our region. For more information, and to obtain access to the data, please contact Dr. Susanna Pirttikangas.